Early morning you will be picked up from your hotel in Hurghada or El Gouna by your landcruiser 4x4 to the flying area which is set behind the Airport of Hurghada, (Omm Ghaira area) ,from where the Air Balloon will take off. You will have the chance to witness the preparations of the Hot Air Balloon before taking off. Coffee, Tea, Cakes and pastries served before the flight, then having an unforgettable flight experience in the sky for around 45 minutes over the desert and the display of an amazing sunrise enjoying a unique view of the magnificent city of Hurghada. The balloon can reach up to 5,000 feet, before you land again to get your Jeep 4x4 and return back to your hotel. 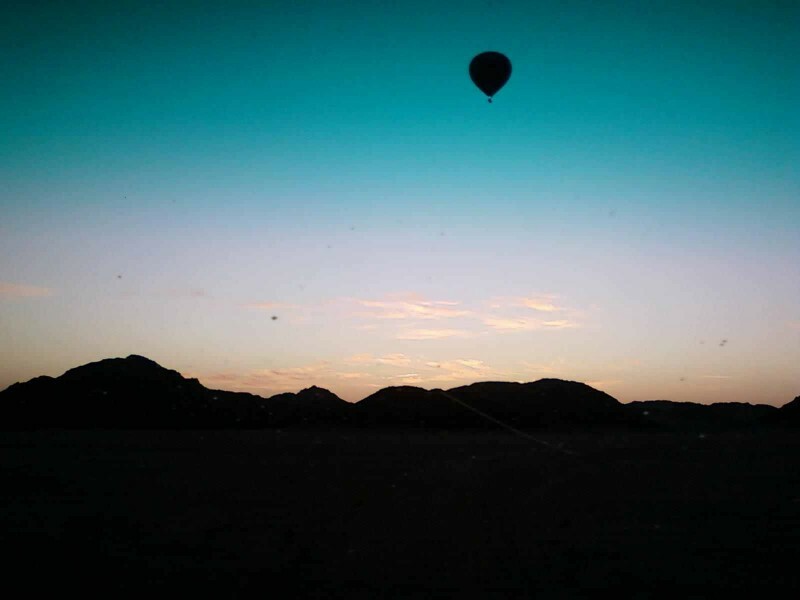 The Jeeps will follow the Hot Air Balloon throughout the entire flight until the landing and then will drive passengers back to the base through the desert.